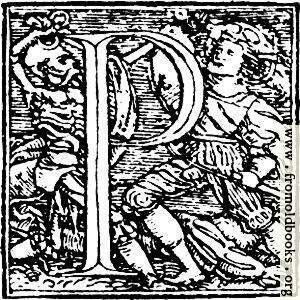 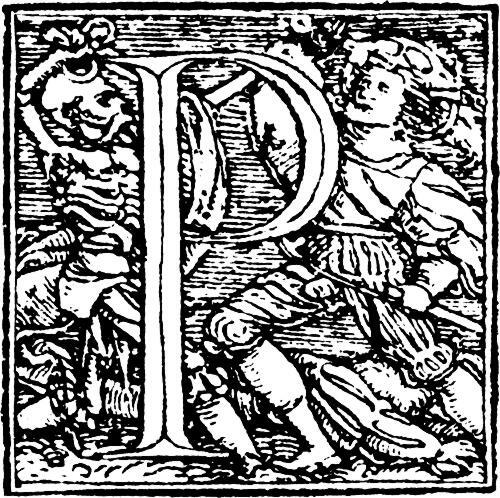 62p.—Initial capital letter “P” from Dance of Death Alphabet. 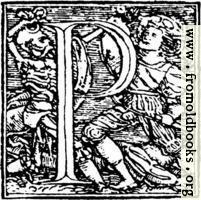 This decorative initial letter “P”, or drop cap, is from an alphabet designed by Hans Holbein and dating from 1523. The skeleton figures in the alphabet represent death. 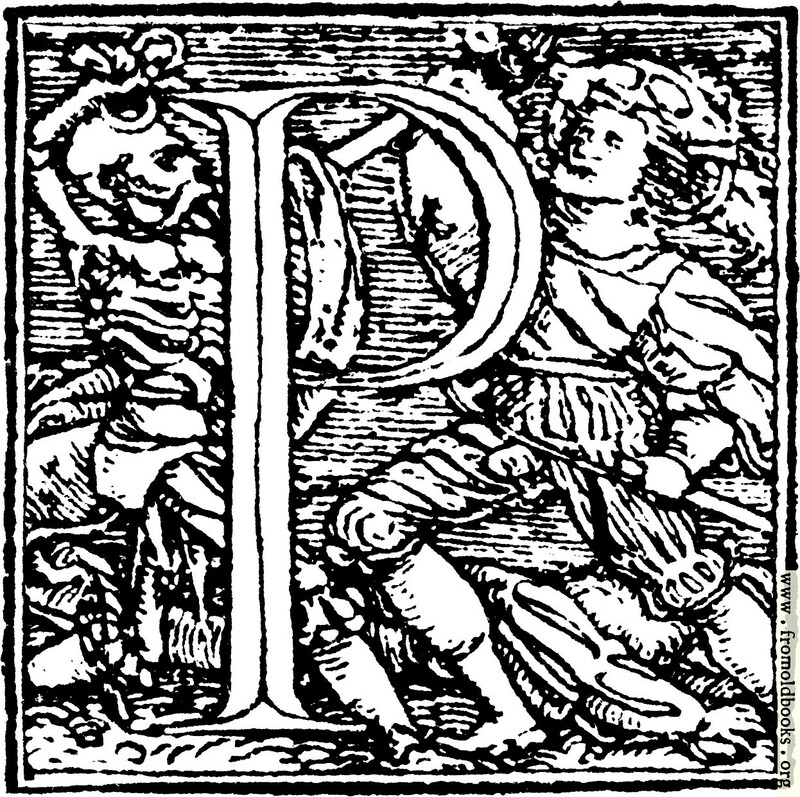 This letter, P, includes a battle between a skeleton, representing Death, and a soldier. 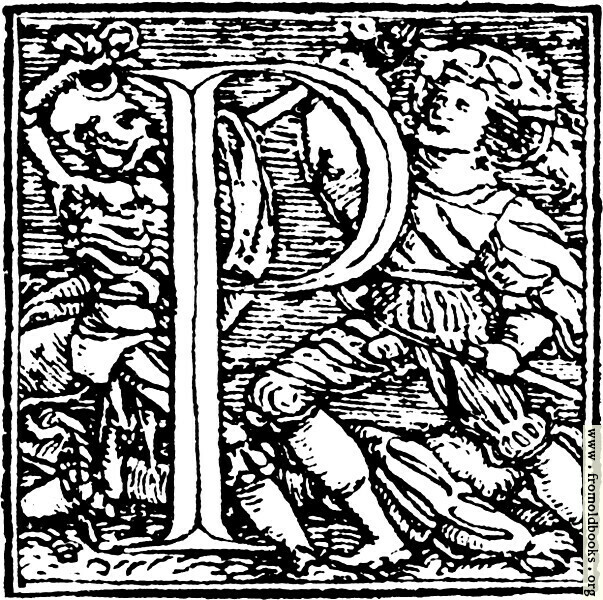 At first I tought the soldier was an early aircraft pilot wearing goggles, but it seems unlikely for an engraving made in 1523; maybe it’s proof that there are aliens?